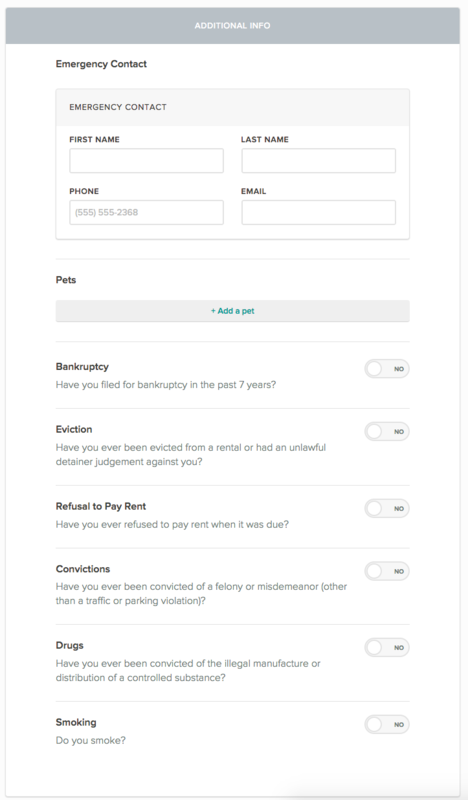 What does a Cozy rental application look like? 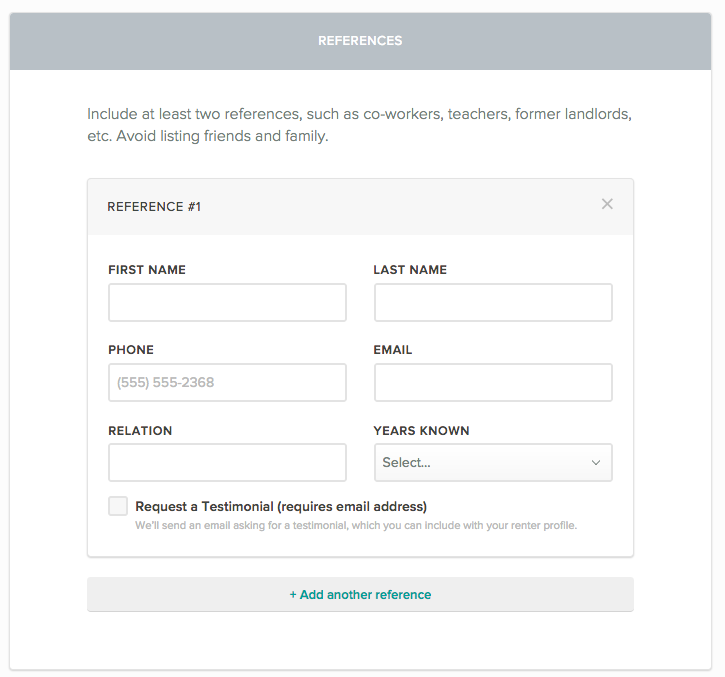 When an applicant visits your application link, they’ll first be asked to create a Cozy account to apply. We require this in order to keep their personal information safe, and to ensure they can return to edit their application or check its status. There are three main sections your applicant will need to complete. 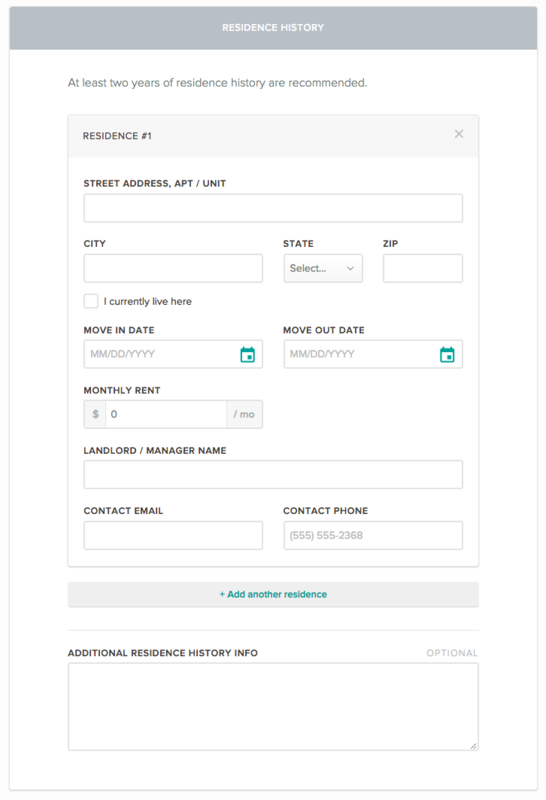 Renters can invite co-applicants (as well as co-signers/guarantors) to join their application. This will send email invitations to co-applicants. 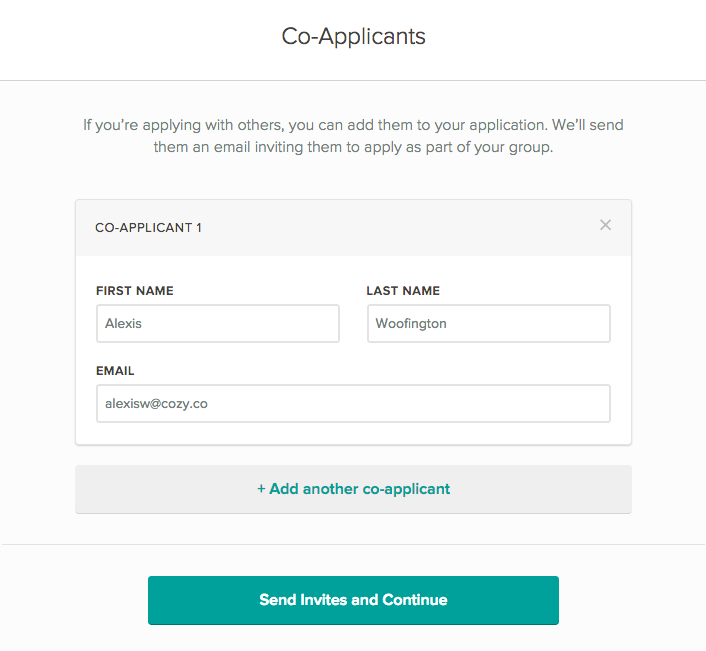 It’s important that co-applicants start their applications from these email invites (rather than starting their own application). We group co-applicants together, so that you can choose to rent to them as a group. Applicants who are applying alone can skip this step entirely. 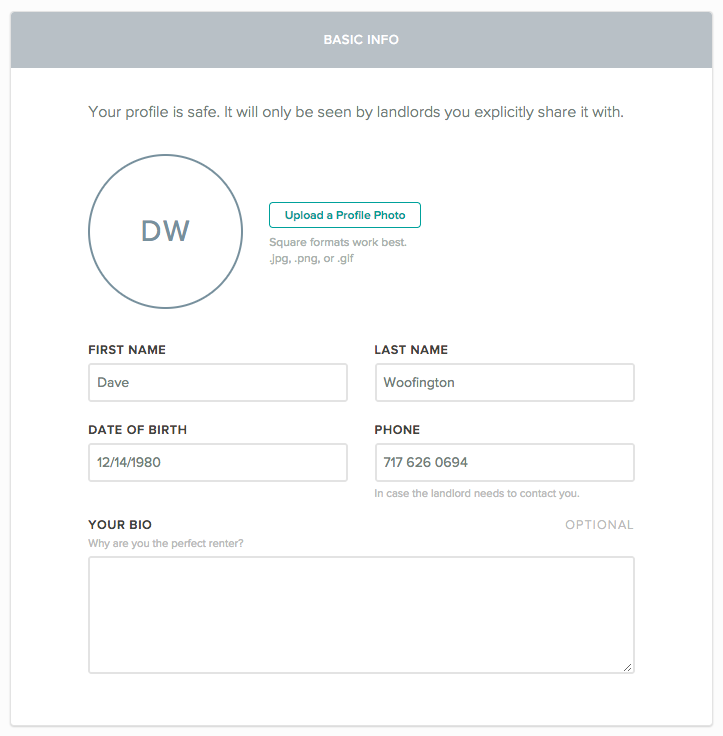 Basic Information: contact details, personal information, and a short bio. 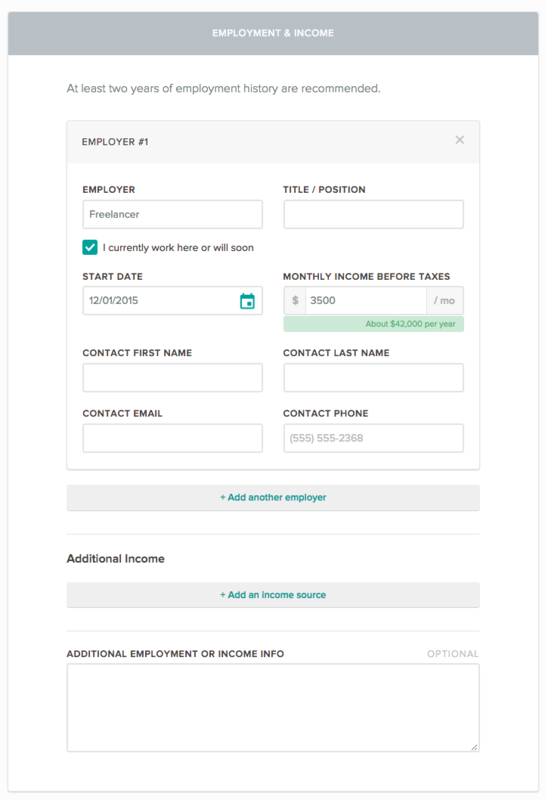 Employment and Income: current and previous employers, plus any other income sources. Residence History: current and previous residences and landlord contact information. References: we ask applicants to include any additional references they have. 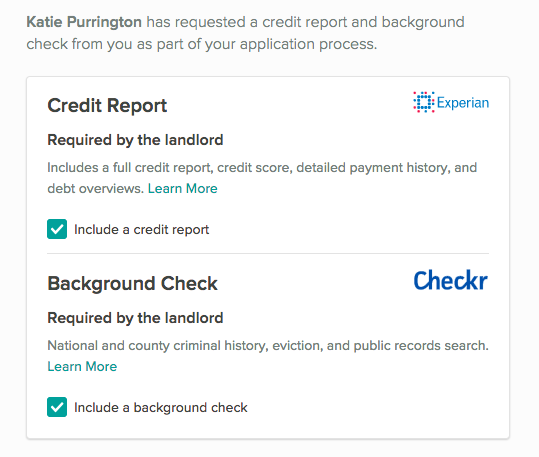 If you've required credit reports or background checks with your application, we’ll prompt applicants to verify their identity and purchase their reports. After the applicant provides their personal information and answers a series of questions about their financial history, they can view and share their reports. If they decline to run or share a report, we’ll ask them to explain. If you haven’t required reports, applicants can still choose to run a report and include it with their application, or opt out of purchasing these reports. Credit reports and background checks cost $24.99 each, or $39.99 when purchased together. This fee is paid by the applicant and requires a debit or credit card. Finally, we’ll ask applicants to review their information, certify that it's correct, and grant permission for anyone listed on the application to release their information. As soon as they submit their application, you’ll get an email notification to let you know.